Divide the rest of the land into two equal halves. 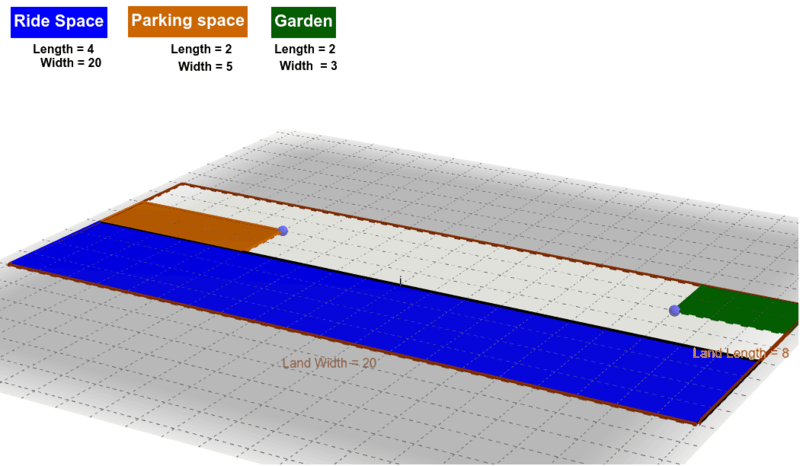 In one half create a parking space and in the other half create a garden.﻿ a) What is the area of the parking space? b) What is the area of the garden?